Wanted to thank you for the information you provided to assist in the securing of Pickleball Courts at our community. We have one tennis court and as most tennis courts are today this was seeing little activity. During the East Naples Pickleball Tournament in February, I invited two members of our community (both good tennis players) to see the game of Pickleball being played, to encourage them for support for the addition of two Pickleball courts. After the tournament, I was asked to put a proposal together to present to the board at the annual HOA meeting. This was on a Thursday, Sunday I gave a demonstration to twenty-three homeowners that immediately wanted to get the courts in place, as they wanted to begin to play. The Board called a special meeting the following Thursday and passed a resolution to add one pickleball court (against my recommendation to add two). The treasurer, a friend of mine, finds it hard to reach in the pockets….not a bad thing most of the time. Well there are more ways than one to dink a shot. 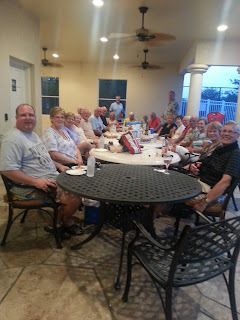 At a community get together it so happened that the president of the HOA and his wife (avid tennis players) were at there. A rumor got started, (how’d that happen?) that indicated it would be confusing on the tennis courts with Pickleball lines on one side of the net. We now have two courts. 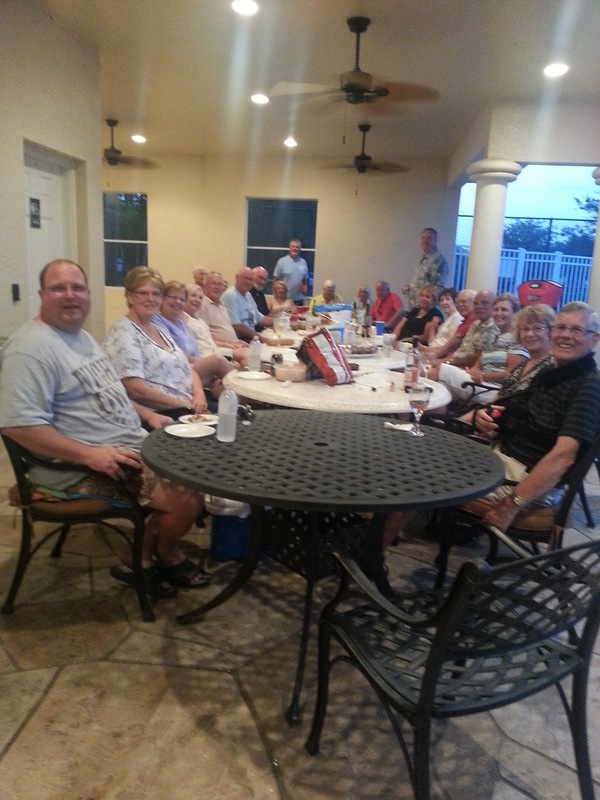 This was a smart decision on our treasurers part, as my first introductory lesson we had 22 neighbors show up, our second session 23 and the talk of our small community, Pickleball is here to stay. 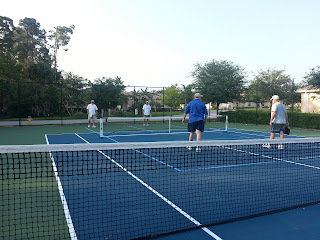 Not sure if we will get as big as the Villages, but I think The Sanctuary Pickleballers will be ready for Lakewood Country Club, Foxfire and Silver Lakes (all Naples communities) next season. Thanks again for your help and dedication to this great sport!